This Saturday, Rhode Island Pride celebrates the 40th Annual Rhode Island Gay Pride Festival and Parade. Pridefest starts Saturday, June 18th, at noon on South Water Street along the waterfront. The Illuminated Night Parade starts at 8pm traveling along Dorrance, Washington, and Empire Streets downtown. 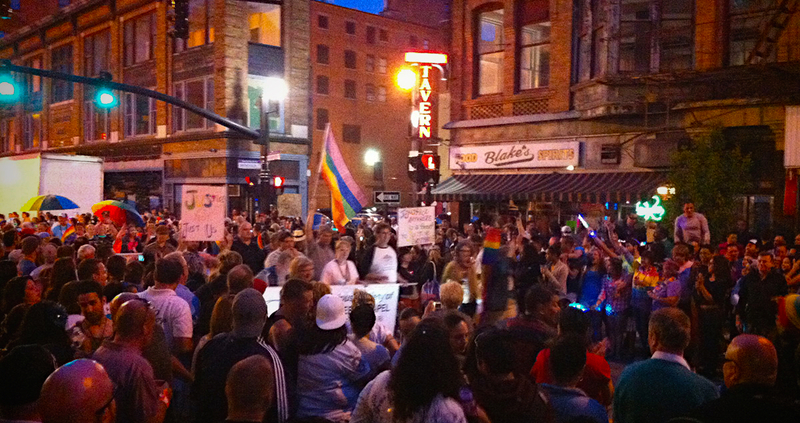 A full schedule of Pride events can be found here. In light of last weekend’s tragic events in Orlando, Rhode Island Pride has repsonded to the community’s concerns over security, read their statement here. Rhode Island Pride is expensive to produce, if all donations help. This year they are running a $40 for 40 Years fundraising initiative.